Are Clear Braces Worth the Cost? More and more people today are becoming very aware or getting conscious of their outside appearance. They hope to achieve the perfect smile and bite that they always dreamed of. Luckily, dentists nowadays offer patients various orthodontic appliances created to be more comfortable when worn compared to traditional braces that make use of metal brackets. With the use of clear braces, you won’t have to avoid smiling showing off those unattractive metal wires. With metal braces, you can end up suffering from various dental problems such as a toothache or bleeding cheek or gums. Clear braces are one way to solve both your bite problem and misaligned teeth without having to suffer embarrassment or pain. According to Oral-B, clear braces can cost up to $4,000 – $8,000. Sometimes, the cost can vary depending on where you live. Orthodontists living away from the city usually cost less than those who live in larger cities. It may also depend if your insurance does cover up the cost of your whole braces treatment. It is better to contact your dental provider about the coverage if ever they will cover up the whole process or not. But usually, most dental insurances do not cover up orthodontic treatment below 18 years of age, and partially cover those under. Always make sure to ask the receptionist about the cost of treatment, if they are partially/completely covered up by insurance, or payment options they’re offering. Here at Healthy Smiles of La Grange, we are happy to offer different and affordable payments to patients who are tight in budget. We also accept major credit cards and offer Care Credit. Usually, traditional braces are $1,300 cheaper than the clear braces. But many of those who have completed their orthodontic treatment using clear braces feel that it is worth every penny. 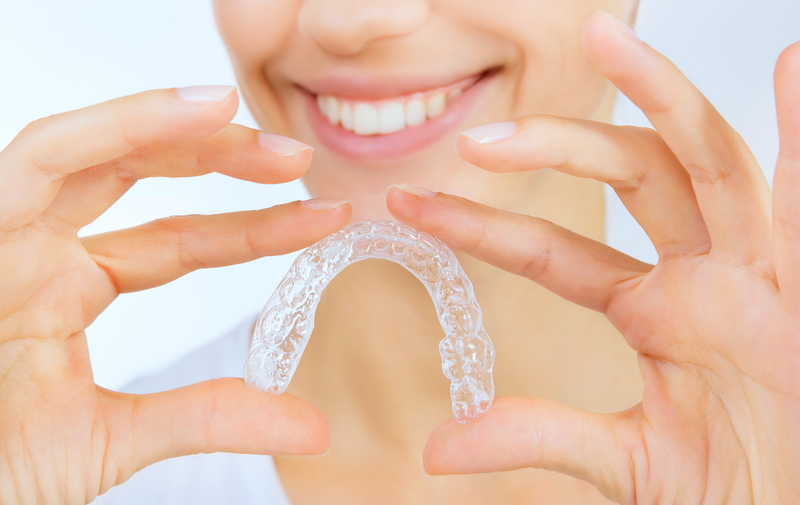 Clear braces is very comfortable, not to mention that the process it takes to straighten teeth is much shorter and you don’t need to come in often for check-ups. During the start of the treatment, your dentist will give you trays to wear at each interval since each tray are removable, and is customized for whatever your goals are. Your dentist will also instruct you to wear them for at least 23 hours a day for faster results.